By CNN'S BARBARA STARR CONTRIBUTED TO THIS REPORT. (CNN) - The Supreme Court allowed President Donald Trump's transgender military ban to go into effect on Tuesday, dealing a blow to LGBT activists who call the ban cruel and irrational. 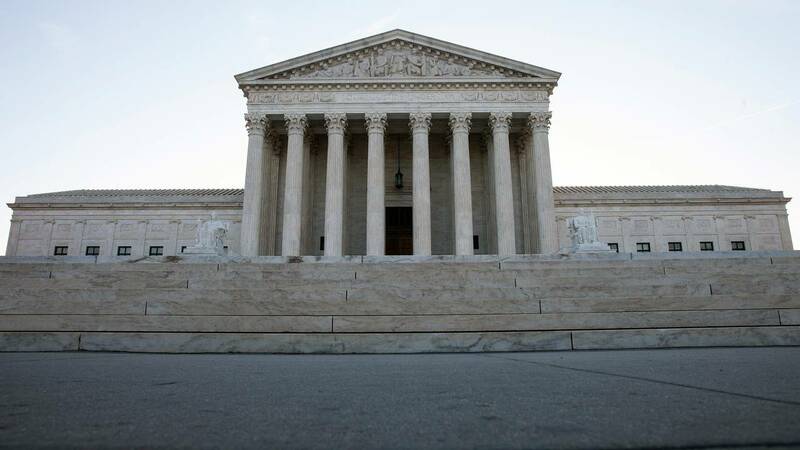 In an unsigned 5-4 order, the justices took no stance on the legality of the ban, first proposed in a surprise tweet by Trump in 2017, but Tuesday's action clears the way for it to take effect while lower courts hear additional arguments. The four liberal justices objected to allowing the administration's policy banning most transgender people from serving in the military to go into effect. The Pentagon was forced to allow transgender applicants to join the military on January 1, 2018, after a federal court ruling. Who is affected by SCOTUS decision? After Trump called for a ban on transgender persons serving in the military, Mattis directed Patrick Shanahan, the then-deputy secretary of defense and now-acting Secretary of Defense, and vice chairman of the Joint Chiefs of Staff Gen. Paul Selva to develop the implementation plan. The policy also states that transgender persons serving who require gender reassignment surgery or hormonal treatment during their service would be disqualified due to their inability to be deployed for a period longer than 12 months. The Pentagon policy remains on hold at least temporarily because of an injunction from a Maryland federal judge that is technically still in place, but is expected to be paused in the next few days based on the Supreme Court's action. A defense official tells CNN the Pentagon is not putting the transgender restrictions into place immediately, pending the resolution of the Maryland case. A Justice Department official said it will file a motion to dissolve the final injunction, and the ACLU believes the Maryland judge will follow the Supreme Court's move. Shortly after the court's order, Speaker of the House Nancy Pelosi tweeted that the policy was "purpose-built to humiliate brave men & women seeking to serve their country." "Deeply concerning that #SCOTUS is allowing his ban to proceed for now," she continued. The Justice Department applauded the order, saying in a statement that the Defense Department "has the authority to create and implement personnel policies it has determined are necessary to best defend our nation." "Due to lower courts issuing nationwide injunctions, our military had been forced to maintain a prior policy that poses a risk to military effectiveness and lethality for over a year," Kerri Kupec, a spokeswoman for the Justice Department said in a statement. "We will continue to defend in the courts the authority and ability of the Pentagon to ensure the safety and security of the American people." Laura Durso, Vice President of the LGBT Research and Communications Project at the Cener for American Progress, called the policy "dehumanizing." "This is the cruel centerpiece of the Trump administration's agenda to prevent the full inclusion of transgender people in public life," Durso said. "It undermines military readiness and perpetuates the fear across the transgender and allied communities that this government will not protect them, not even those who would sacrifice everything to protect our nation."